The Philippine Normal University through the Linkages and International Office (LIO) hosted the International Forum on Strengthening Urban Engagement of Universities in Africa and Asia last 28-29 August 2018. 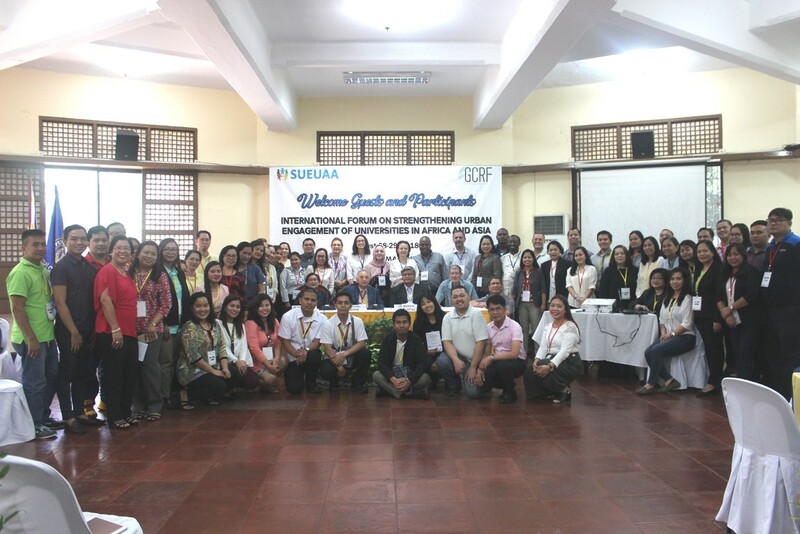 This international forum gathered researchers, educators and community engagement experts and practitioners from various universities, government and non-government agencies across the Philippines to discuss best practices in urban engagement and extension programs. The forum reaffirmed the roles of the universities in addressing and responding to the needs of the local community. This is part of a research project conducted in partnership with University of Glasgow in Scotland through Prof. Michael Osborne and selected universities in Africa and Asia such as the University of Johannesburg, south Africa, University of Dar es Salam, Tanzania, University of Zimbabwe, Zimbabwe, University of Duhok, Iraq, University of Kurdistan, Iran, and Philippine Normal University, Philippines. This forum was co-organized by Dr. Zenaida Q. Reyes, the Director of LIO and co-researcher in the said research project.